As I mentioned in a previous post, I've been using alot of purple in new jewellery pieces recently. I've also been seeking out purple pretties in other shops! 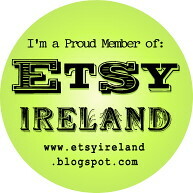 Here is a selection of gorgeous purple items from some wonderful Irish Etsy sellers. 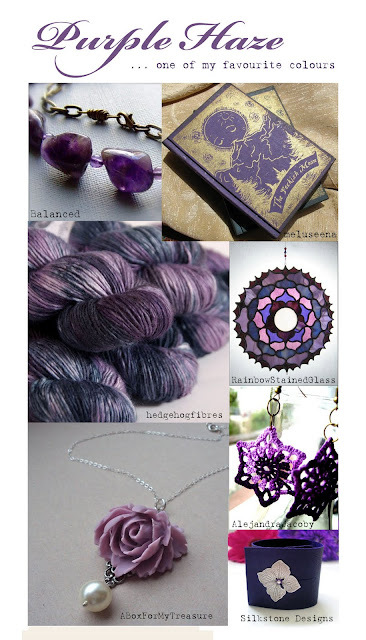 From delicate mauve like the flower in this necklace from ABoxForMyTreasure, to the soft heather colours in hedgehogfibres' yarn and the really vibrant violet of AlejandraJacoby's earrings, purple can so versatile and pretty. I just love it! I just love love the theme...purple is one of my favorites too!! !thanks for including my earrings!! !